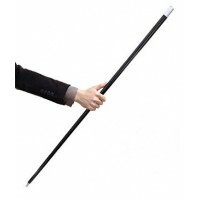 A cane magically appears at the fingertips from out of thin air! 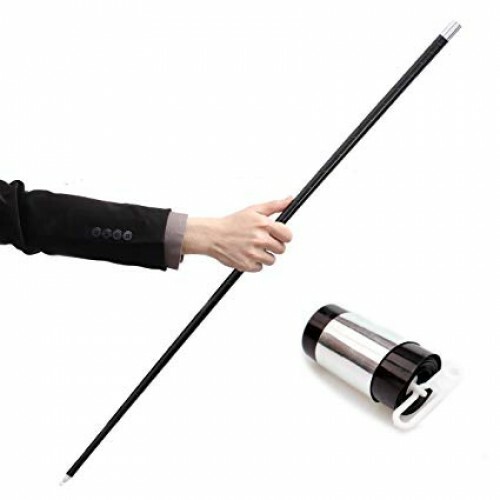 This impressive cane will amaze your audience as it instantly materializes before their eyes! If you prefer, you may have a silk suddenly transform into a full-size cane! I got several of these in a magic estate. I do not believe they are Fantasio-make...I believe they are later imports. They work perfectly. Cane is black with a silver "knob" and measures approximately 36" in length. No instructions included. APPEARING CANE A full size cane appears instantly at your ..